Picture taken at 37 weeks ❤️? it's the first time I've ever made it full term. I'm 40 weeks now. Doctors told me I have an incompetent cervix that I'll give birth early because I've had my first baby at 19 weeks she didn't make it. My 2nd baby at 34 weeks,shes 2yrs old now. And this is my third pregnancy and I'm beyond excited I made it this far. I thought I was never going to be able to have a full term baby. 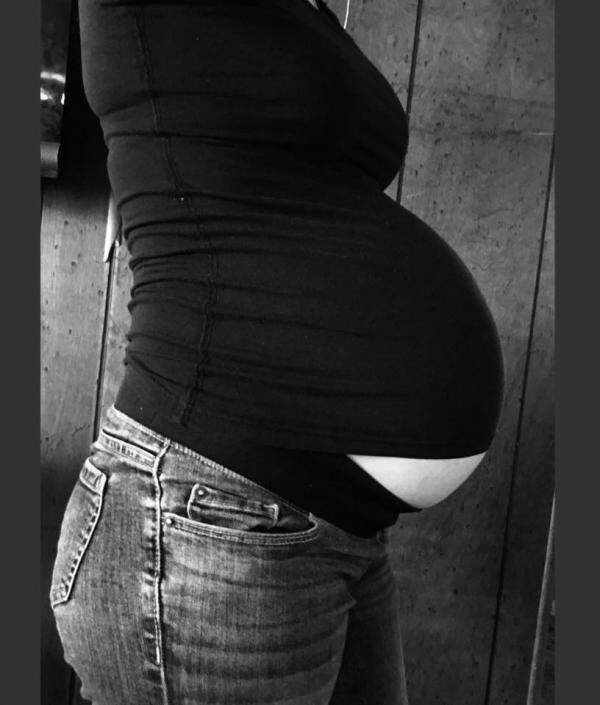 This is my favorite belly picture from my last pregnancy, my fourth little blessing, 3rd little boy. 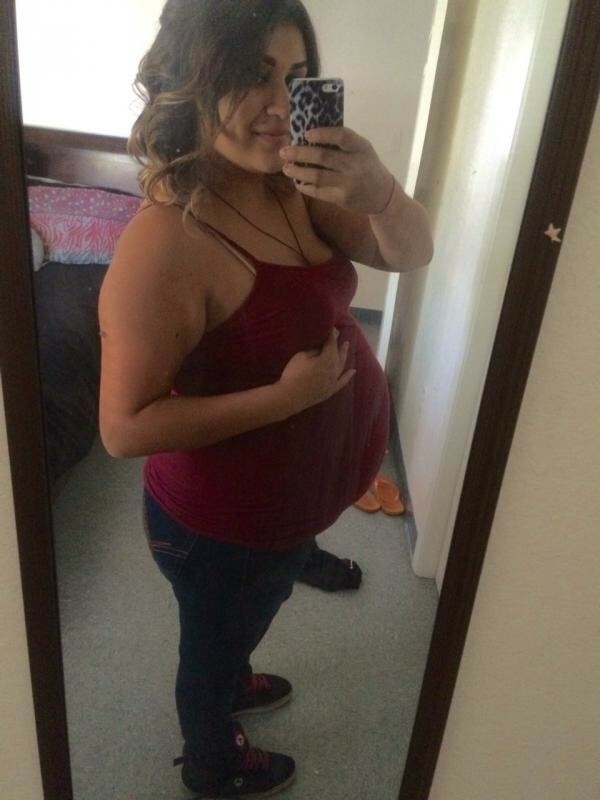 I believe I was around 31 weeks here! When we first found out I was pregnant again, I was very scared of how I was gonna be pregnant and deal with pregnancy while having 3 other kids running around. That all quickly went away as they turned into the best little helpers around! 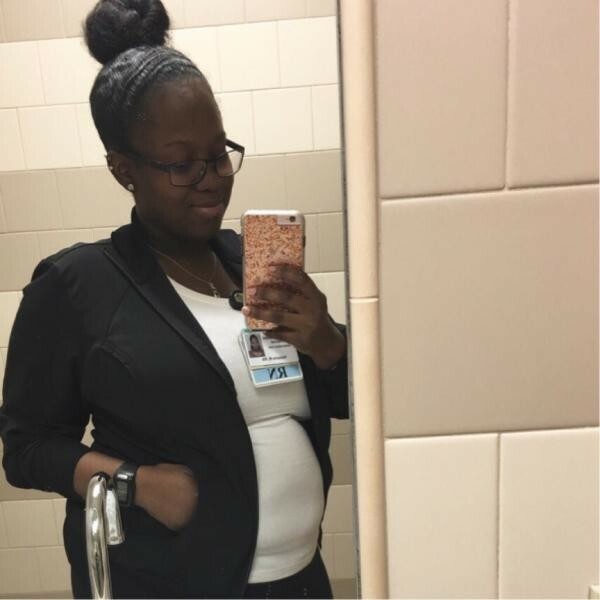 At 21 weeks I was told that I was for sure being put on high risk…I was put on strict bed rest for almost 2 months, was taken off work for the remainder of my pregnancy…we were told I was going to have this baby early and we were going to weekly visits and ultrasounds from there on out to monitor our situation. 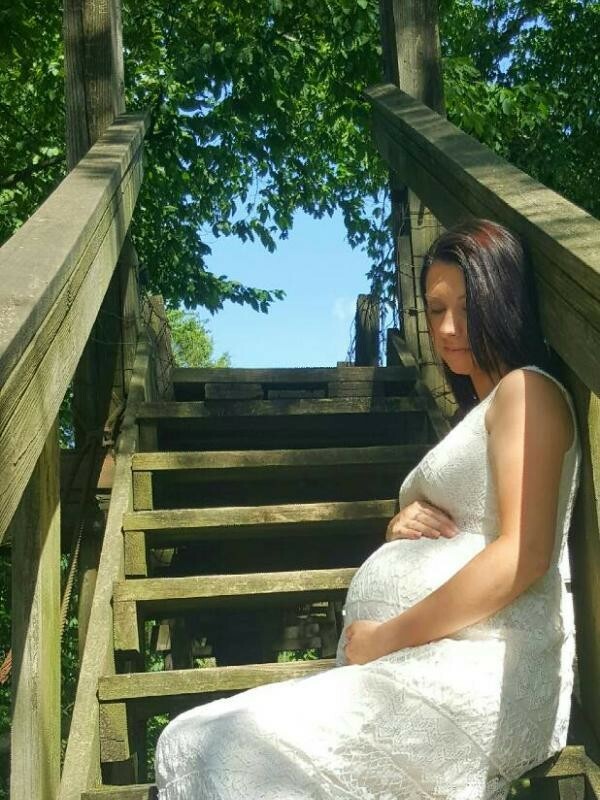 we were told I would have him between 32 and 36 weeks and they highly doubted I would make it to the 36 weeks… I was induced at 39 weeks, had a completely natural labor and delivery and my son was born happy and healthy! Picture taken at 24 and 25 weeks. 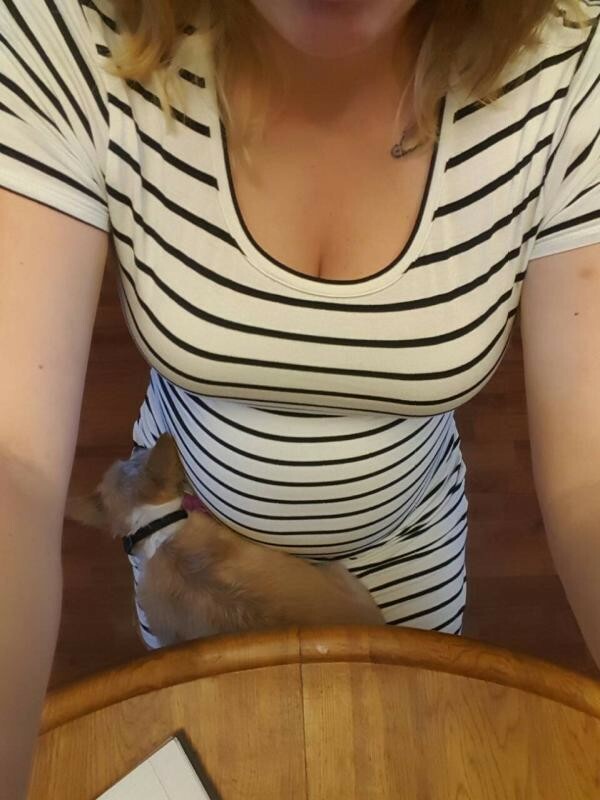 I've had a great pregnancy so far. I had bad nausea the first 12 weeks. Since then, everything has been great. My feet are only swollen when I wake up in the morning. I can still maintain my normal activity. I feel completely normal, like myself, only with a little alien growing in me ?? . My first baby. 31 weeks! my 1st baby (the dog) is definitely he getting jealous. 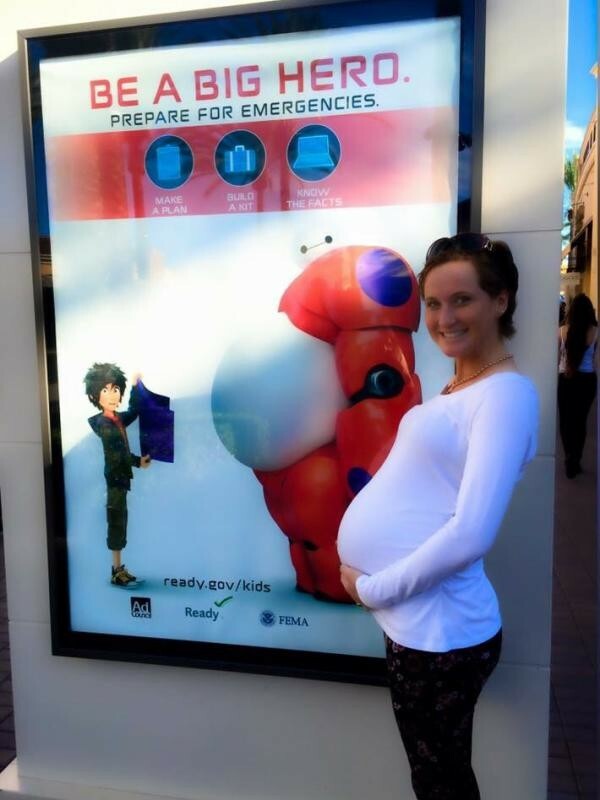 I hope she loves the baby as much as she looks like she does in this picture! When we passed this sign and I was wearing the white shirt, it was too good to pass up!! 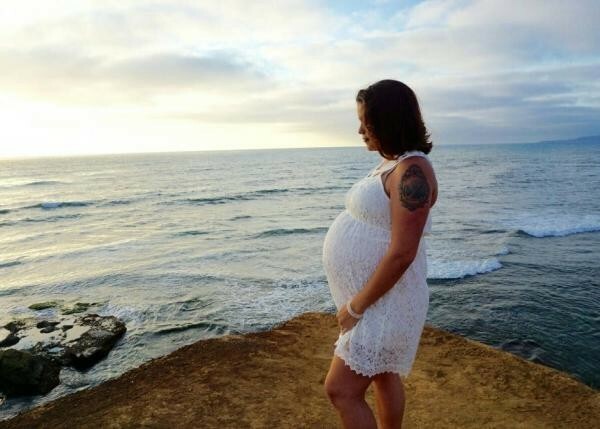 Share your favorite bump photos with moms like you in the mom.life app. Don't forget to share the app with your friends!